Christmas is here guys, whether or not you like to admit it. Just take a walk into your local Woolworths and breathe in the blaring peaceful Christmas music. 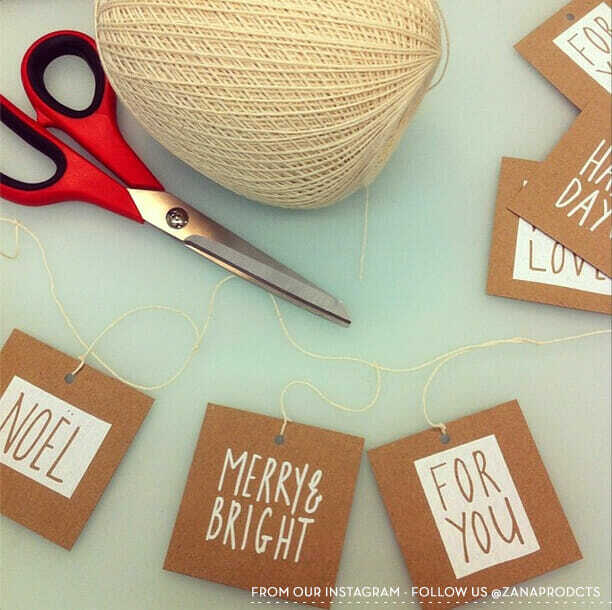 On this note, we can’t let you ignore our Christmas tags! We are totally looking out for you, yes you, the one who needs to have the best looking gifts in the family. Remember, we are an online store so you need to allow a little posting time, it is important to get your orders in quick quick so they can arrive with ample time for you to get your wrap on! I’m totally feeling a modern Christmas this year. 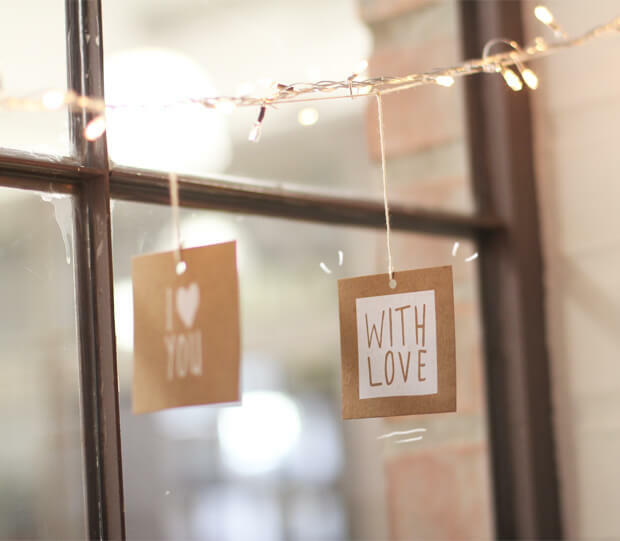 I’m going to leave some of my old decorations dead and buried, its time for something fresh! 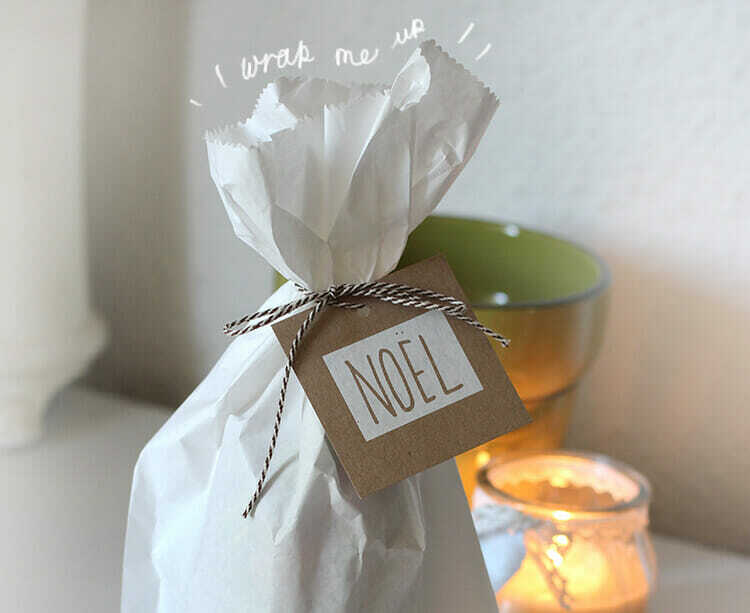 Here are some interesting ways to use our tags, wrap them up or hang them up! 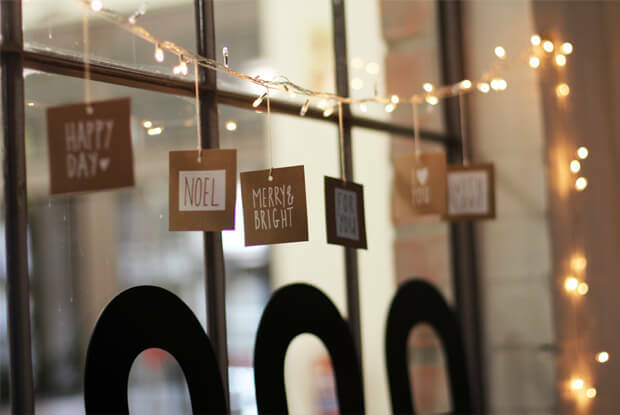 We strung our tags up and made some festive bunting which is now up in our studio!